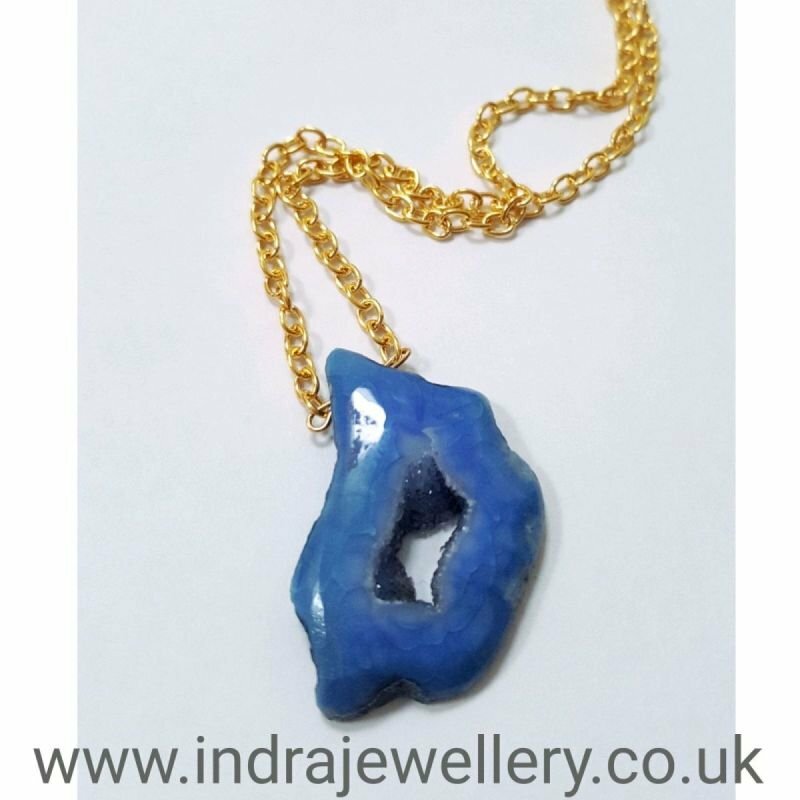 The pendant is a natural druzy slice which is a stunning blue! I have tried to capture the beautiful sparkle of the crystals inside the druzy and because of it's unusual shape this necklace definately stands out! I have complimented it with a dainty gold plated chain which measures 18". The photos don't do this necklace justice, it will go with any outfit, whether it is daytime or evening. Please see all the photos, I have added a penny to give an idea of size.